There’s always a first for everything… I finally went bowling in Beirut last week. The finding: It’s great fun! The closest I got to bowling until then were bowling shirts. They were fashionable at one time -- in the late seventies if I remember correctly. I was fond of one in particular. It was black with red and white pins on a left side pocket. I have several snapshots of me sporting it, but they are in Dubai. As it often does, the evening started at Gustav -- the pâtisserie haven for dessert aficionados and our favorite hangout on Hamra Street. Gustav (@LeGustav on Twitter) is the brainchild of Emirati entrepreneur Khaled Bou Falasa and his Chef Patissier Noor Ramlawi. It has become the virtual world’s nerve center. It’s where you invariably come face-to-face with “friends” you only got to know through Twitter or Facebook. Joining us from Canada, and meeting him for the first time, was Woody Ghsoubi (@vipwoody), who studies in Montreal and is now holidaying in Lebanon. It’s always uplifting to chance on a Twitter friend. Also going bowling were Liliane (@FunkyOzzi), Hussam (@sam_lb), Maggie (@Abaretruth), Yasmine (@yasminehajjar), Jennifer (@Jenhaddad), Youssef (@ychaker), Samir, Khaled (@Arabear) and Noor (@ChefNoor). We just had to walk across the street to the Crowne Plaza Hotel where the 10-lane Score bowling alley and amusement center is sited. The good time a bunch of “would be” adults can have at one of the oldest and most popular games in the world is remarkable. I didn’t even know bowling is a sport dating back to 3200 BC! In the 1930s, British anthropologist Sir Flinders Petrie discovered a collection of objects in a child's grave in Egypt that appeared to be used for a primitive form of bowling. In Germany, historian William Pehle found evidence of bowling around 300 AD. In 1366 England, King Edward III banned bowling because the game was taking archery practice away from his troops but Henry VIII brought it back. English, Dutch and German settlers must have imported bowling to America, where it started on lawns. There’s still a plot in New York called Bowling Green in what is now the financial district. The equipment used for bowling has evolved from the hardwood balls and pin boys responsible for setting up the pins. New technologies have improved the bowling ball, introduced electronic scoring and monitors that show the path and speed of your ball, and several other novelties. Cheerfully, bowling is played by people of all ages, which was the case while we were there. There were children challenging their parents, teenagers and older groups as well. The amusement center was packed. We were among the 95 million people across 90 countries that bowl every day. Debate whether ten-pin bowling should be introduced at the Olympics Games is continuing. I was apprehensive at first and sat out the first game. But I couldn’t resist engaging in the second -- with little success I must confess. But that was part of the fun. I will not be changing careers or going to the World Series of Bowling any time soon with a score of 33! The rules seem easy and the automatic scoring is a blessing. The Hamra bowling center has 10 alleys and a cafeteria. LL 10,000 ($6.63) pay for a "game," bowling shoe hire and a new pair of socks. Each game is divided into 10 "frames." A "strike" is scored when a player knocks down all pins on the first roll in the frame. It all looks straightforward when watching. But when I strode up to roll my first ball, it wasn’t that easy. However much I tried to aim straight, the ball kept swerving right. In one of my tries I hit my calf instead of the alley! The evening didn’t end there. On our way out, we couldn’t resist the other games at the amusement arcade, including the air hockey and Harley-Davidson rides. You can join our bowling night in pictures. Voilà, et à la prochaine! I think I’ve found it! Yes, this is Dubai’s king of falafel. They are the best I’ve tasted in the five years I’ve been in the emirate, and I’ve tried a few. Since the start of the Holy Month of Ramadan, some friends have been getting them nearly every night and that’s how I got addicted. Dukkan Falafel is not where you would normally look for a falafel outlet. My friend Aboudi discovered it by chance recently when he stopped to fill petrol. It is tucked at the back of ENOC petrol station, coming down from what used to be Defense Roundabout towards Al Wasl Road, Jumeirah side, just before Life Pharmacy. Dukkan Falafel is open 24/7, but during Ramadan the timing is 5 p.m. to 4 a.m. You can enjoy a meal in the modest four-table restaurant, pick up, or call for delivery. You can visit Dukkan in these photos. I was immediately welcomed by the friendly staff on duty the evening I passed by. Amir and Mohammad were happy to answer my questions and explain the “Dukkan” (Arabic for shop) specialties. Dukkan’s falafels are freshly deep-fried using zero transfat Canola oil. The four branches work without a freezer. They get fresh ingredients daily. The other branches are in ENOC Al Warqaa, Meadows and Gardens. More are planned for Sports City, Jafza and Al Bustan Center in Dubai and as well as Sharjah and Abu Dhabi. Dukkan Falafel is one of four chains – Tawasy, Chinoodles and Tandoori Trail – operated by Alternative Dining Experience, a company started in the UAE in 2009. It offers alternative concepts to customers, creates innovative and exciting new segments in dining, enters regional and global joint ventures, and franchises these concepts. The company’s strategy is to distinguish its restaurants by consistently emphasizing high-quality food and service and offering generous portions at moderate prices. And I thought the prices were very reasonable by Dubai standards: 12 falafels for AED 6 ($1.63) or 24 for AED 10 ($2.72). As I had written in Introducing Beirut’s king of falafel (3 May 2011), it is difficult to trace the origin of falafel, the small, fried croquettes. Probably ancient, and often hijacked by different countries, it is accepted falafel originated in Egypt, where the Copts claim them as their own as a replacement for meat during Lent. Except in the port city of Alexandria, falafels are called ta’amia in Egypt. They are made with dried broad beans or fool. In Palestine, Lebanon, Syria and Jordan they use dried broad beans and/or chickpeas. It is maybe from Alexandria that falafel was introduced to the rest of the Middle East and spread worldwide. Made from ground chickpeas and/or fava beans, they are usually served as a sandwich in Arabic bread with pickles, tomatoes, mint or parsley, hot pickled peppers and drizzled with a tahini sauce. Some prefer to eat them without the bread and just with the tahini dip. Dukkan Falafel’s Amir and Mohammad explained the supplies and falafel mix come fresh from Tawasy every day. Owned by Ramy Wardeh, Dukkan uses the Palestinian and Jordanian recipe of making falafel with chickpeas. Among the other ingredients they use in the mix is plentiful of parsley (hence their green center), pepper, garlic and a special mix of spices. Tawasy Gourmet Catering, Dukkan’s supplier, is a home, events and banquets delivery service with an extensive menu of genuine Arabic and Mediterranean cuisines. All the ingredients, like the fries, cut eggplant, cauliflower florets, vegetables and the falafel mix are delivered to Dukkan Falafel and then cooked on-site, as I witnessed when orders started to pour in just before iftar, or the evening meal when Moslems break their dawn to sunset fast during Ramadan. Amir and Mohammad got busy frying fresh falafels, fries and aubergines for the orders. They offer four varieties of bread for the falafel sandwich – Arabic, Panini, Ka’ek and Dukkan. Dukkan Falafel has five falafel sandwich choices – asli (original), with herbs, tomato and their special tahini sauce; bil foul with fool mudammas or mashed fava beans; fakher with sautéed vegetables and tahini; ala kefak (to your liking) with your choice of filling; and bil khoudra with fresh tomatoes and vegetables. They have event platters, eight different hummus choices, three of fool and plenty of side dishes. You can even explore their menu on their site before ordering. Oh boy, do they taste good! I couldn’t help but have a few while Mohammad was frying a new batch and oh boy, do they taste good! They are nice and crispy on the outside; juicy, soft and green on the inside -- just as a falafel should be. If you try Dukkan Falafel, I’d love to hear your verdict. While on Twitter last Wednesday night (August 10), my friend Elie Fares tweeted he had arrived at Lourdes, the town at the foothills of the French Pyrénées famous for the Marian apparitions of Our Lady of Lourdes. 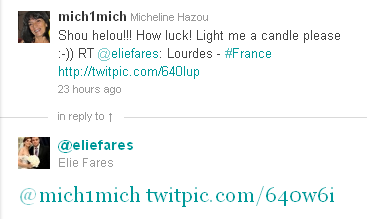 I couldn’t believe it when a couple of minutes later Elie (@eliefares) replied: “Done,” and attached a snapshot of “my” candle at Lourdes to his tweet. 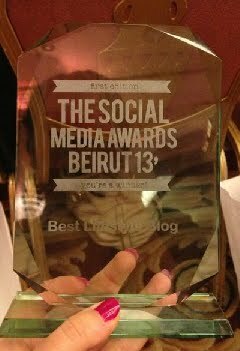 That is the power of Social Media… the social in media! A visit to Lourdes has always been one of my dreams. I hope to go there one day, as I look forward to do the Camino de Santiago de Compostela, also known as The Way of St. James. Imagine all the posts and pictures likely to be generated along the 100-kilomter-pilgrimage route! 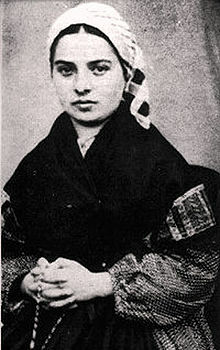 It is near Lourdes, in the grotto of Massabielle, that in 1858 Our Lady appeared 18 times to a young and sickly peasant girl, Bernadette Soubirous. Bernadette had 18 apparitions from the “Lady,” between 11 February 1858 and 16 July 1858. 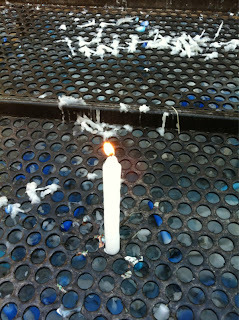 It is only on the 16th Apparition that the “Lady,” as Bernadette called the apparition, revealed her name. Bernadette is said to have always asked the “Lady” who she was. That day, she dared to ask three times. "Then slowly opening Her hands and leaning towards me, She said to me in a voice vibrating with emotion, ‘Que Soy Era Immaculada Conception’ (I Am The Immaculate Conception). She smiled again, spoke no more, and disappeared smiling." Bernadette Soubirous was declared a Saint by Pope Pius XI on 8 December 1933, the feast of the Immaculate Conception. Her body, in the main chapel of the Convent of Saint Gildard in the city of Nevers in France, remains entirely incorrupt. Around her shrine are inscribed the words of the great promise made to her at Lourdes by the “Lady,” and fulfilled by Her: "I do not promise that you will be happy in this world, only in the next." There is so much faith and belief on such pilgrimages, that I often wonder what it would feel like, and what would I ask for once there. Certainly health for loved ones… What can be more important? 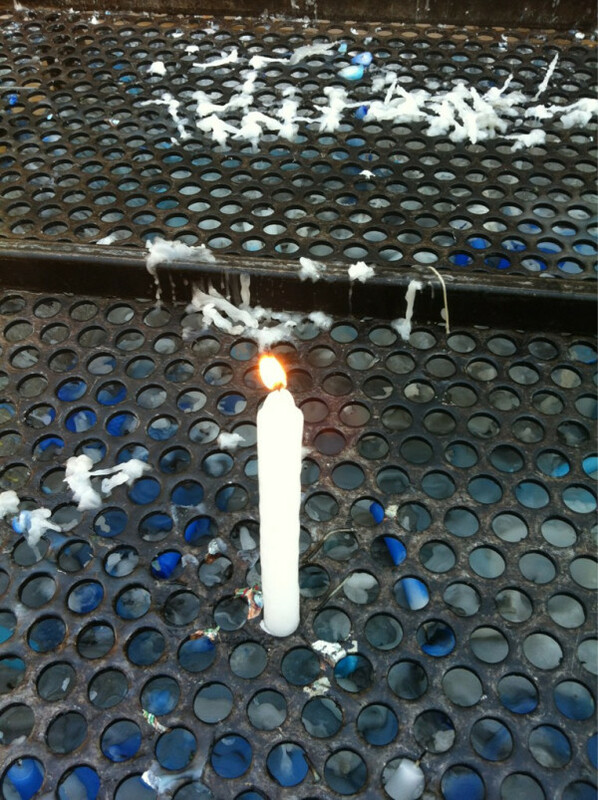 So it is with great emotion that I thank you, Elie Fares, for lighting a candle for me at Lourdes. It has surely burned down by now, but it means a lot to me. I hope to light one for you before long. Today is Eid al 3adra, the Feast of the Assumption of the Virgin Mary to Heaven, and it falls during the Holy Month of Ramadan. Both Christians and Muslims will celebrate Our Lady – or “Maryam” in the Holy Qur’an. The last time Our Lady’s Day was during the Holy Month of Ramadan was 33 years ago in 1978. The mother of Jesus has a distinguished and honored position among women in the Qur’an. The 19th of the Holy Book’s 114 chapters is titled “Maryam” – the only surah named after a woman. The Virgin Mary is the only woman directly named in the Qur'an. And in the many translations I found online, she is declared -- uniquely with Jesus -- to be a sign of God to humanity (Qur’an 23:50); one who guarded her chastity (Qur’an 66:12); an obedient one (66:12); chosen of her mother and dedicated to God whist still in the womb (3:36); and uniquely, among women, accepted into service by God (3.37). In the Qur’an, Christ is called repeatedly Issa ibnu Maryam, Arabic for "Jesus son of Mary" (5:19, 75, 81, 113; 19:34), a name which is best known in the Islamic world. "Mary's childhood, as seen through the Qur'an narration and Islamic tradition, is entirely a miracle. 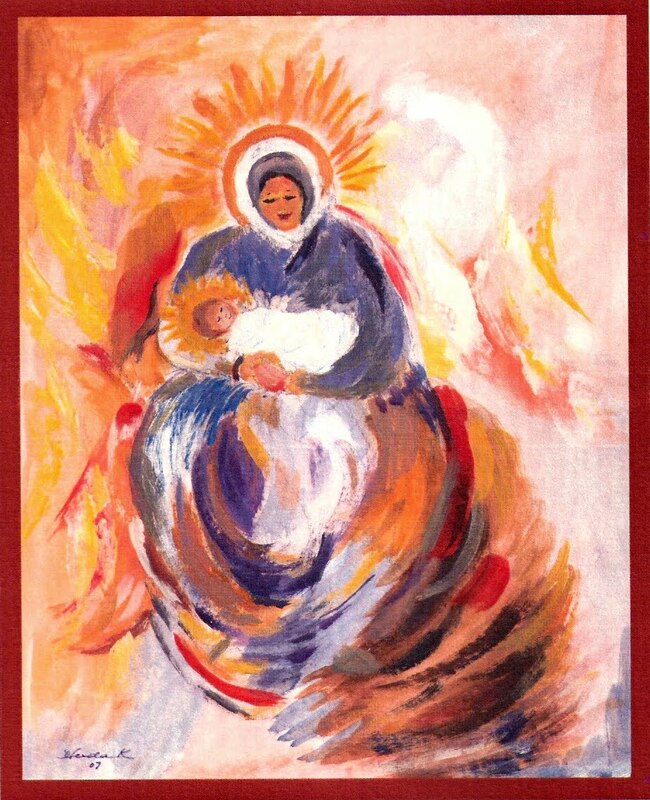 Mary grows under direct divine protection, she is nourished daily by angels (3:32) and has visions of God every day. Everything contributes to making her and her Son a signum for mankind (5:79; 21:91; 23:50). But if the detailed narration of Mary's childhood confirms the exceptional value of her person, it is necessary to stress the greatness of Mary is completely related to the extraordinary event constituted by the birth of her son Jesus..."
I wonder when Surat Maryam is read at the Taraweeh in mosques this month. I shall continue listening to them in my garden. These are special prayers featuring recitations of the Qur'an after 'Isha (the last evening prayer). They last over an hour and are performed at the mosque and the congregation stands upright to read and listen to passages from the Qur'an. After each cycle -- standing, bowing, prostrating, one sits for rest before continuing, hence the name rest prayer or Taraweeh. Some 1/30th of the Qur'an is read each evening so by the end of the blessed month, the entire Holy Book would have been completed. May our Heavenly Lady, bring peace, solace and love to all. 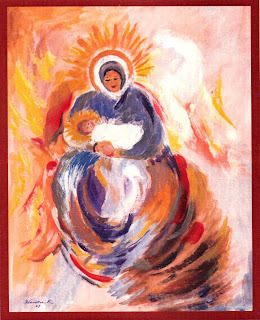 And may the Mother of all Mothers shower us -- especially the needy, hungry, sick and infirm -- with her Blessings. his intention to reconstruct the mosque of Allah's Apostle, “You have talked too much. What’s in a minaret… or four in this case? That which we call the new Al Farooq Omar Ibn Al Khattab Mosque and Islamic Center in Dubai’s Jumeirah district. I watched the four pencil-shaped columns rise over the past year. From far they looked like spaceships ready to blast off. Last week I found out they were the minarets of a new mosque, built and offered to the city of Dubai by business leader Khalaf Ahmad Al Habtoor. I had to go and see what lay beneath the four minarets, which I did on Saturday morning (August 6). It’s easy to get there -- the minarets (from the Arabic manara or lighthouse) guide you. The new mosque in Al Safa 1, is just off Al Wasl Road and sits between Spinneys and Park’n’Shop. The closer you get, the more splendid the mosque looks. The size is breathtaking and I had difficulty getting the four 60-meter-high minarets in one photo frame. The many domes are of different sizes, and the stained glass windows sparkle in the morning sun. The architecture is inspired by, and similar to, Istanbul’s Sultan Ahmad Mosque or “Blue Mosque,” and it is said to have cost AED 85 million (or $23 million). Al Farooq Mosque, which can hold at least 2,000 worshipers, is one of the most modern in the region. It is the largest in Dubai and the third to open its doors to nonMuslims after the Sheikh Zayed Bin Sultan Al Nahyan Mosque in Abu Dhabi and the Jumeirah Grand Mosque in Dubai. I went in midmorning, so as not to interfere with prayer times, especially during the Holy Month of Ramadan. I had the run of the mosque compound thanks to Shehab, a helpful security guard from Bangladesh, who shadowed me on my tour and lent me an abaya to don inside the mosque. I have always valued the sensation in prayer houses. And the call to prayer is one of the sounds from the region I missed most when living in London. Somehow there is no rhythm to the day without the five calls to prayer. While growing up in Tunis, my mom Vicky and I used to walk to the closest mosque to home in La Marsa, a suburb of the capital, to hear the maghrib (evening) prayers. We’d sit on one of the benches in the square in front of La Marsa Mosque and follow the adhan. At the time, the muezzin’s call to prayer was live from the minaret, which along with the dome is a characteristic form of Islamic architecture. But with the mushrooming of cities, the muezzin now calls the adhan from the prayer hall by means of microphones fixed to the minarets. The first Friday prayers at Al Farooq Omar Bin Al Khattab Mosque were offered on July 29, just two days before the start of Ramadan. The mosque is named after one of the companions of the Prophet Mohammad (PBUH), who was widely recognized for his justice and fairness. Omar, the second Caliph after the Prophet’s death, succeeded Abu Bakr in 634. Also known for his legislative competence and firm political and administrative leadership, the Islamic empire expanded greatly under his caliphate. The mosque itself is split into the main prayer hall for men and one for women on the first floor (with elevator). Four smaller ones surround the central dome while mini-domes crown the exterior walls. I went up to the women prayer hall first. It is a long room overseeing the main prayer hall. The walls, windows and ceilings are all beautifully carved, with blue dominating the colors throughout. There are engravings of verses from the Qur’an all along the walls and bookshelves on both sides stacked with copies of the Holy Book. It seemed quite high for a first floor and you look down on the main hall from behind the stained glass panels. The Islamic Center consists of a library for research and reading and a lecture hall or classroom boasting state-of-the-art equipment. It will offer courses to study the Qur’an. The complex houses the Imam’s, the muezzin’s and the ablution facilities. I didn’t go into these buildings because some were closed due to the hour of day and others are still being completed. The domes in the main worship area are decorated with Qur’anic verses and Islamic designs and calligraphy created by a team of 60 Moroccan artists and craftsmen brought to Dubai from Fez by Al Habtoor Group. The stained glass windows are chiefly blue throughout. The thick, new carpets were specially made in Germany; a new method of air-conditioning was adopted; and bronze chandeliers hanging from the mosque’s ceiling, rising to about 30 meters, add beauty and awe to the atmosphere. The mosque was designed by the Kazoo Company and inspired by Istanbul’s Sultan Ahmed Mosque, better known as the Blue Mosque for the blue tiles that adorn the interior’s walls. It took two months to design the inscriptions inspired by the Blue Mosque and 10 months to implement them on the ground. Built by Ahmed I between 1609 and 1616, Istanbul’s Blue Mosque was controversial when it was revealed it would have six minarets, the same number as the Al-Haram Mosque housing the Ka’aba in Mecca. To overcome the problem Ahmed I sent his architects to build a seventh minaret at the Mecca mosque. The mihrab, the semicircular niche in the wall of the mosque to indicate the qibla, or direction of the Ka’aba in Mecca that Muslims should face when praying, is adorned with marble and mosaics. The Al Habtoor Group Facebook page says Khalaf Al Habtoor and his family took up the challenge to transform what was a small mosque into such a complex a few years ago. The center is open to nonMuslim visitors as a way to promote cultural interaction and communication. Al Farooq Omar Ibn Al Khattab Mosque was established in 1988, expanded in 2003 before being rebuilt at the beginning of this year. It was designed by Mohammed Al Shaikh Moubarak Architects and built by Teem Construction. It is unusual to see four minarets, like at Al Farooq Mosque. The majestic Sheikh Zayed Mosque has four and the Jumeirah Grand Mosque has two. Most other mosques have one or two. Minarets have been described as stairways to heaven. 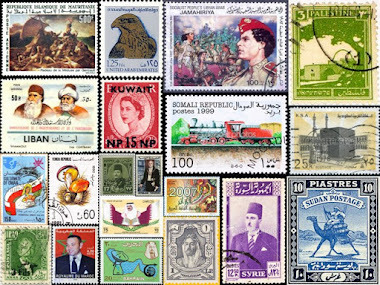 They also remind of the first letter of the Arabic alphabet, alif – a straight vertical line. 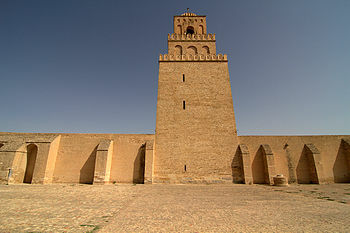 The basic form of a minaret includes a base, shaft, and gallery. Styles vary regionally and by period. The minarets at Al Farooq Mosque have two shafts and the pointed gallery is of course blue. Mosques were first built without minarets. According to hadiths (narrations of sayings of the Prophet) the community of Madina gave the call to prayer from the roof of the Prophet’s house, which doubled as a prayer place. Around 80 years after the Prophet’s death, the first known minarets appeared. The oldest standing minaret is that of the Great Mosque of Kairouan in Tunisia, which I visited many years ago. Built between the 8th and the 9th century, it is a massive square tower consisting of three superimposed tiers of gradual size and décor. I walked around Dubai’s Blue Al Farooq Mosque for more than an hour, and kept discovering inscriptions, patterns, designs, mosaics and other little wonders. As it starts to write its own history, I like to think that in the centuries to come, in the entries about the Al Farooq Mosque, I played a minuscule role in treading its new carpets. Until you get a chance to visit Al Farooq Omar Ibn Al Khattab Mosque and Islamic Center, I leave you with some snapshots. No one knows when it was introduced to Dubai and the Gulf. No one I asked could remember when they started drinking it. 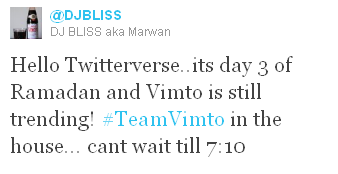 But Vimto dovetails with the Holy Month of Ramadan in this part of the world. I was introduced to Vimto at one of my first Iftars here a few years ago. It is the drink of choice for breaking the fast during Ramadan. I thought it was a local drink, originating somewhere in the UAE or the Gulf. But, to my great surprise, I discovered it was produced more than 100 years ago in a small village in Cheshire, England. 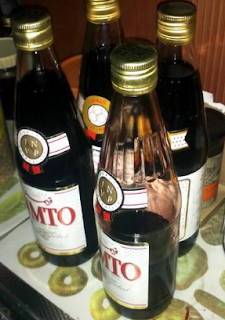 Created by John Noel Nichols, Vimto was originally a health tonic. In 1913 it became a cordial – a nonalcoholic fruit drink concentrate. Purple, and sold in a distinct white-labeled bottle, the squash later became a low-calorie carbonated drink. It is made of grapes, raspberries and blackcurrants, flavored with a tantalizing mix of secret herbs and spices. Vimto sold more than 25 million bottles in the Gulf and other parts of the Middle East in 2010, with Ramadan receiving the highest sales and once again making it the leading drink of choice during the Holy Month. The Aujan Industrial Company makes it under license in Saudi Arabia. Every Ramadan, the company launches assertive but well-liked commercials on Arab satellite TV channels to promote the fruit cordial. To celebrate Vimto’s 80 years as a household favorite in Middle East and Gulf homes, Aujan this year launched the “The Sweet Storyteller” multimillion-riyal media campaign. It stirs up memories and priceless Ramadan moments, collected from generations of gatherings and celebrations, through Vimto’s eyes. 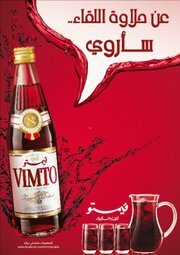 Vimto’s association with the region began in 1928 when many Indian clerks found employment in the Middle East. Abdulla Aujan & Brothers were introduced to Vimto by an Indian employee and large quantities of cordial were exported to their firm for distribution. Vimto’s website remembers how after World War II the cordial was shipped from the UK to the Middle East packed in wooden crates and housed in the bulkheads of ships. They were offloaded in Bahrain and transported around the Gulf in dhows. The cordial was, and remains, double strength compared to the UK edition to cut down on transport costs and suit the local palate. I don’t remember seeing or hearing of Vimto during all my years living in London. When I was asking my landlord about the drink and its association with the Gulf and Ramadan, he too couldn’t think of how and why it became so popular. While studying in the UK, he said he never came across the drink either. Incredibly, Vimto has more than 40 different pages and groups on Facebook. It has over 907,000 search results on Google and the online community was abuzz with mentions of the drink even before the onset of Ramadan on Monday (August 1). Mohammad AlHuraiz (@asatiir) said on Twitter: “Ramadan hasn’t started and already one Vimto bottle is almost done!” Mohammad even had a snapshot to prove it! 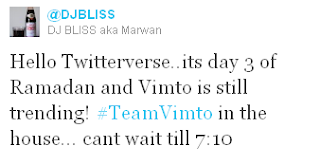 Dubai’s favorite DJ, DJBliss (@DJBLISS) changed his Twitter avatar to a Vimto bottle on Tuesday, the second day of Ramadan and has created a "TeamVimto" hashtag. Thanks for the picture Aida! At supermarkets around Dubai there is such a rush on Vimto that stocks are rationed! 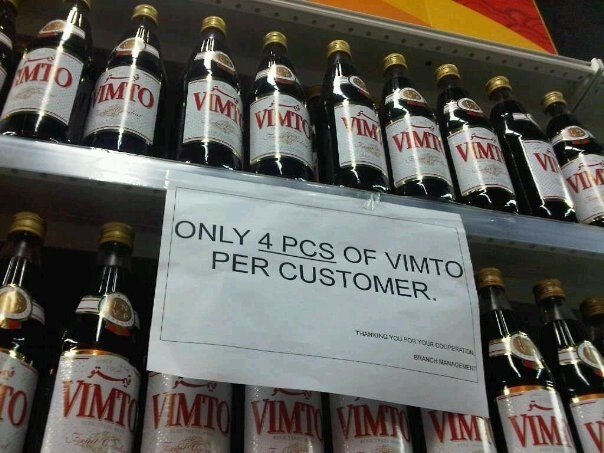 I saw this sign at the Safa Park branch of Co-op, saying “Only 4 pieces of Vimto per customer.” Again I couldn’t take a picture with my digital camera and wished I had a Smartphone. Later that evening, I saw the picture on Aida Al Busaidy’s (@AidaAlB) new Ramadan 101 blog. Now I have to rush to the supermarket and get my bottles of Vimto before they run out. Do you have any memories or stories about the famous Ramadan drink? I’d love to hear them.